STOP DROWNING IN DATA, START REACHING FOR INSIGHT. 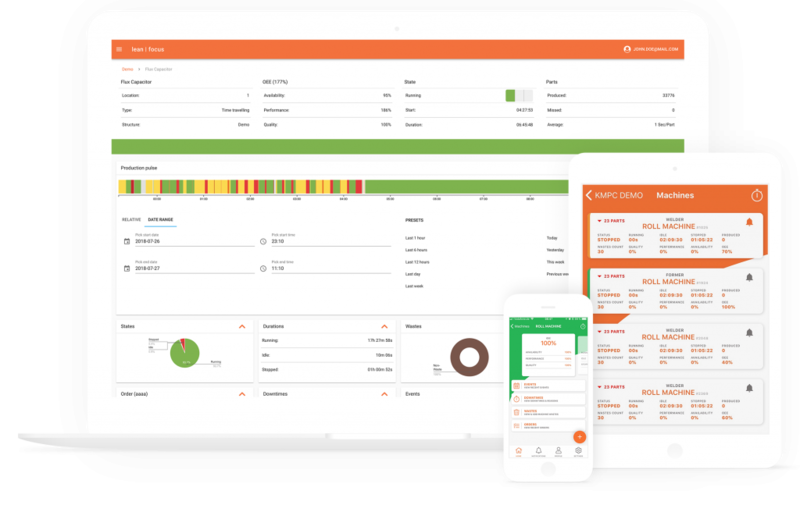 With LEANFOCUS we provide an easy to use production monitoring solution with a strong focus on real-time production measuring and advanced reporting. LEANFOCUS helps you to improve your production performance by providing valuable insight about your production instead of letting you drown in the Big Data flood. Connect any machine – no matter its age. We enable your machines to communicate via state-of-the-art M2M (machine-to-machine) protocols to get all production data that you want and not just a part of it. You should not compromise on production performance matters. Using industry leading technology we are not only able to provide the excellent performance that fits your needs but also highest flexibility and scalability with regards to machine numbers and types as well as your preferred devices to access the data. LEANFOCUS tackles the diversity of your machine pool and offers user interfaces on all web-enabled computers and mobile devices. We support you on gathering the relevant insight by focusing on established industry KPIs and asking the right questions. LEANFOCUS does not only present the OEE of your production but provides valuable information on its backgrounds. By providing terminal interfaces to your machine operators, we help you to answer questions as soon as they arise. A software solution should adapt to your needs and not the reverse. By providing options for customization of user interfaces, processing preferences like thresholds and notifications, LEANFOCUS adjusts to your production without being overwhelming. MEASURING YOUR PRODUCTION SHOULD BE SIMPLE. AS SIMPLE AS PLUG & PLAY. 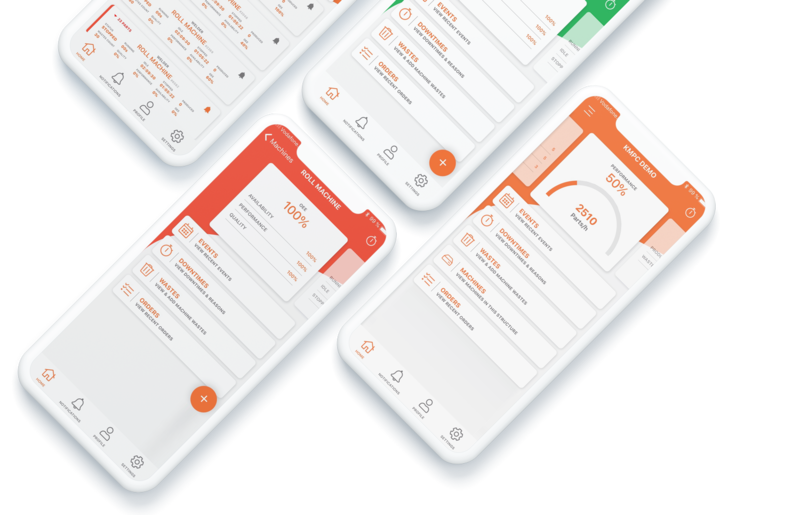 With LEANFOCUS, we support all web-enabled devices and provide apps for iOS and Android covering management dashboards, terminal interfaces and Andon boards. Track your production performance – anyplace, anytime. By August 2018, LEANFOCUS has been deployed at customers’ sites in USA, Germany, UK, Spain, Italy, Turkey and China. A KMPC Innovations product. All rights reserved.